mark with their website claim "Intimate, eclectic and bang-on funky". In the trending small bar scene, this is a key piece to Perth's puzzle. 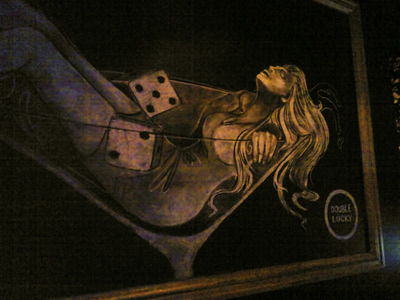 If you have a penchant for laneways and lounge bars, Double Lucky is well worth a roll of the dice. You'll almost find it by accident; down the lane and around the corner. 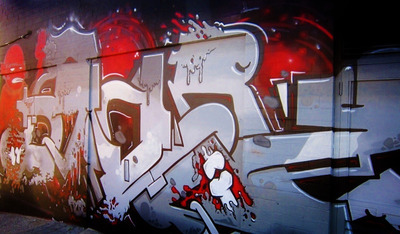 Graffiti art exploding across the walls will lead you to the entrance. It's tucked away just off the car park at 663 Newcastle Street in Leederville. The plentiful furniture is old-world regal, not retro. The lighting and walls are a careful mix of exotic and elegant. The vibe is casual and comfortable but stirs and shakes as the night gets longer and the music louder. Double Lucky comes together as no fluke. Each corner of the small bar benefits from its own uniqueness, giving the slight illusion that it's not so small after all. The bar staff are pleasant enough and they do know how to throw together a good drink. Choices of beer, wine or spirits are plentiful but Double Lucky's deal is cocktails. They go for around $17-$22. The Mojitos and Manhattans are magic. 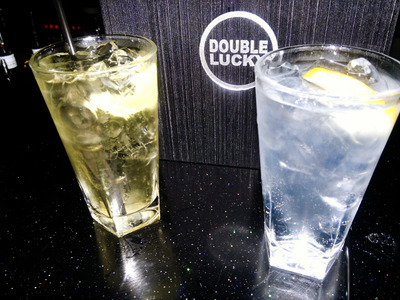 The self titled 'Double Lucky' is a tasty choice too - Fresh lime, Cointreau and Orange bitters, shaken with Gin. It's double delicious. Double Lucky puts its cards on the table in declaring its preferred patron. Aimed predominantly at over 25s, it offers comparative sophistication and even solace amongst the neighbouring Leederville night-spots. It's a fine place to be with a few friends at any point of the night. Live music or a DJ plays most nights. See the website to find out what's happening, when. It does get busy as the night gets on and it's not uncommon for there to be a line at the door. However, if you fancy an early drink, you'll sometimes have it almost to yourself. Why? For a few good drinks in an unique small bar. Where: 11/663 Newcastle Street, Leederville. See the map for exactly where it is.